Samsung Display will remain the global leader among AMOLED display suppliers over the next few years, with shipments estimated to increase to 560 million units by 2019, according to Taiwan-based DigiTimes Research. Samsung Electronics, which produces the company's lineup of Android-based Galaxy smartphones, is expected to remain Samsung Display's largest customer over the next few years, with its in-house AMOLED panel demand projected to grow from 239 million units in 2016 to 290 million units in 2019. Apple is rumored to release its first OLED-based iPhone in 2017, moving away from traditional LCD technology it has used since 2007 for at least one iPhone model. The report estimates that Samsung Display will supply Apple with 40 million AMOLED panels in 2017, 80 million units in 2018, and 120 million units in 2019. LG Display, AU Optronics, Japan Display, and Foxconn-owned Sharp may also share production of OLED panels for future iPhones. 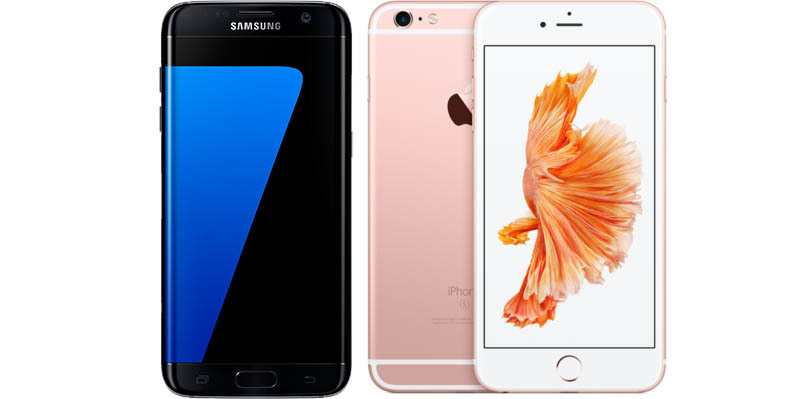 Earlier this year, DisplayMate found that Samsung's Galaxy S7 makes a compelling case for Apple to switch to OLED display technology. Possible benefits include increased brightness, improved color accuracy, improved screen visibility in bright environments, and more efficient power consumption. A number of China-based smartphone vendors, including Vivo, Oppo, GiONEE, Huawei, and Lenovo, have also adopted or decided to adopt AMOLED panels in the future, with Samsung Display's combined shipments to them projected to increase from 99 million units in 2016 to 150 million units in 2019. APPLE! PULL YOUR BLOODY TROUSERS UP AND PACK THE NEXT BLOODY PHONE WITH EVERYTHING YOU CAN THINK OF. DAMMIT! Apple Engineer speaking here. We are working on it and we will not disappoint you. As a first step we are going to put 2GB RAM into this beast. And its going to be thinner too! Wouldn't it be cool if Apple dropped that new iPhone this year. I'm not holding my breath, though. They also have drawbacks like color degradation over time due to breakdown of the organic materials at different rates for each color of LED. I suspect Apple will only switch to AMOLED once the problems have been eliminated (or reduced to a manageable level). In other news my nearly four-year-old Note 2's display looks as it did on day-one. I used it for two years straight before buying a Note 4, then as a backup as I used the Note 4 and now an iPhone 6S Plus. In some ways I prefer its display to my 6S Plus. Considering my Note 2 came out in 2012, and much progress has been made since then, you will have to excuse me if I think your comment is just a bunch of sour grapes. As long as they do something about the colour on those amoled displays, Samsung phones look horrifically oversaturated. Yet the average person prefers the "pop" of those displays. But it can very easily be changed to your preference of "dull" but "more realistic" in just a few seconds. The point is it is a setting, not set in stone. The display itself is far better than what is currently in the iPhone. And I own an iPhone 6S Plus. I know the bulk of us are pretty anti-Samsung but they do make great screens. I hope these other guys can make OLED screens as good when both are ending up in iPhones and presumably iDevices. Based on the past when screen orders were split for Apple hardware, there were many threads full of screen issues -> device returns -> "I hope I get the Samsung <screen> this time." Anti-Samsung? That is a bit harsh. I prefer MacOS and iOS, yes, but I don't "hate" Samsung or thing its "the enemy." Whatever the relationship is between Samsung and Apple is business. There "relationship" with me is as a consumer. If they make a compelling product I'll consider it. Every time there is an OLED story the same, stale, anti-OLED arguments get thrown about. There's almost a willful ignorance by some to how technology has progressed. No wonder Apple has been able to get by with so little innovation on the hardware side. I wasn't singling anyone out with that... nor was I saying EVERYONE is anti-Samsung. Just for every such post like yours it feels like I've seen 5 posts along the lines of "Die Samsung Die" and "I'll never buy another thing made by Samsung" etc. There's no science applied there- just a gut feel of typical MR sentiment toward Samsung. My best guess is that the bulk of this crowd is anti-Samsung... but it's just a guess.